Ellis, Justin. "How a pop-up newsroom helped a Boston news nonprofit connect with readers." Nieman Journalism Lab. Nieman Foundation for Journalism at Harvard, 14 Aug. 2015. Web. 18 Apr. 2019. Ellis, Justin. "How a pop-up newsroom helped a Boston news nonprofit connect with readers." Nieman Journalism Lab. Last modified August 14, 2015. 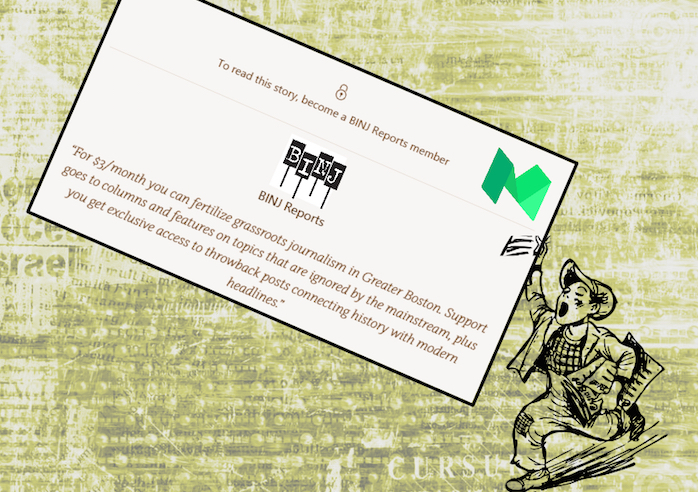 Accessed April 18, 2019. https://www.niemanlab.org/2015/08/how-a-pop-up-newsroom-helped-a-boston-news-nonprofit-connect-with-readers/.